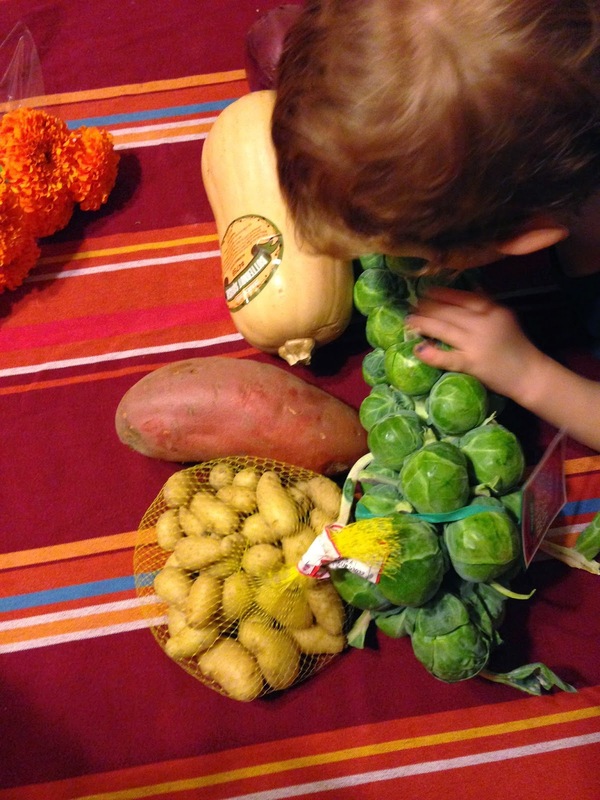 Want your little ones to become foodies? Encourage them to use all their senses! Let things get messy. Let them sniff their food. Let them touch, squish, stir, spread, break, and whisk. Why? Because food appreciation is learned, just like cooking is learned. All kids can become little foodies! To broaden palates it takes planning and effort as well as offering a variety of healthy food while limiting the processed stuff. It may seem hard but helping your kids blossom into little gourmets can be really fun and exciting! Let them choose a new ingredient at the farmers market. Bok choy for the win! Kids can wash while you work on the more advanced steps. Calling all kitchen helpers! 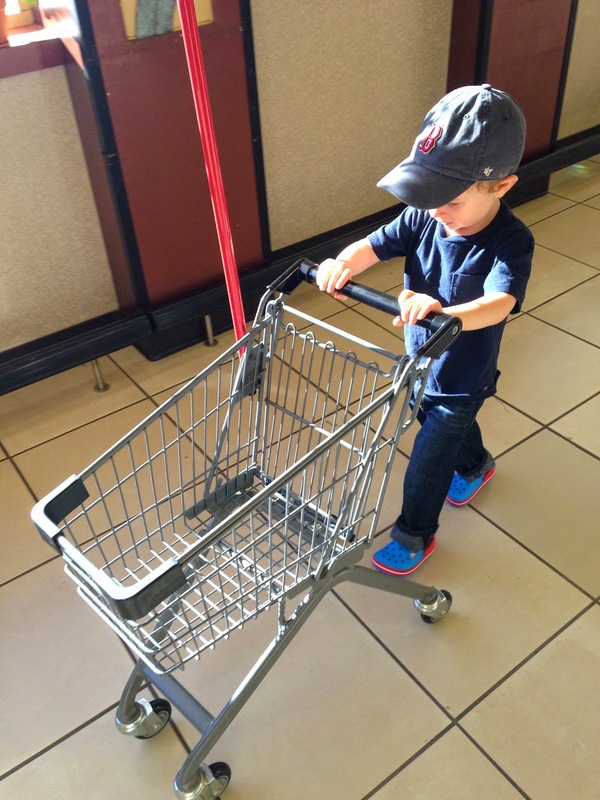 Ask little ones to help you sort groceries after returning from the supermarket. 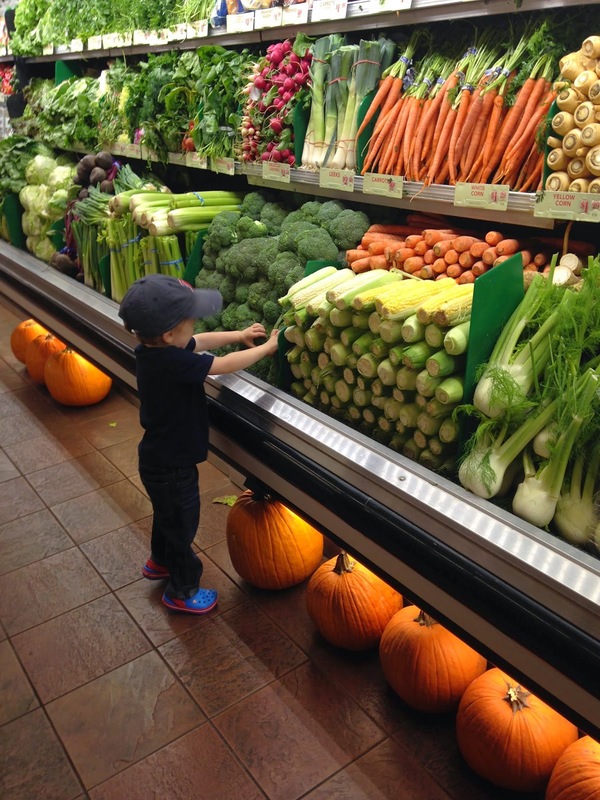 This lets them get familiar with produce. 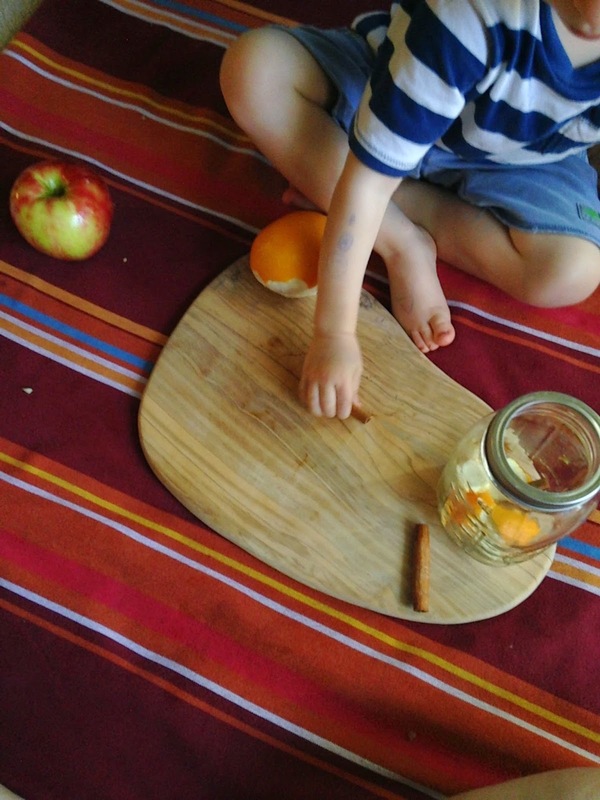 Ingredients can be used for all kinds of sensory play. 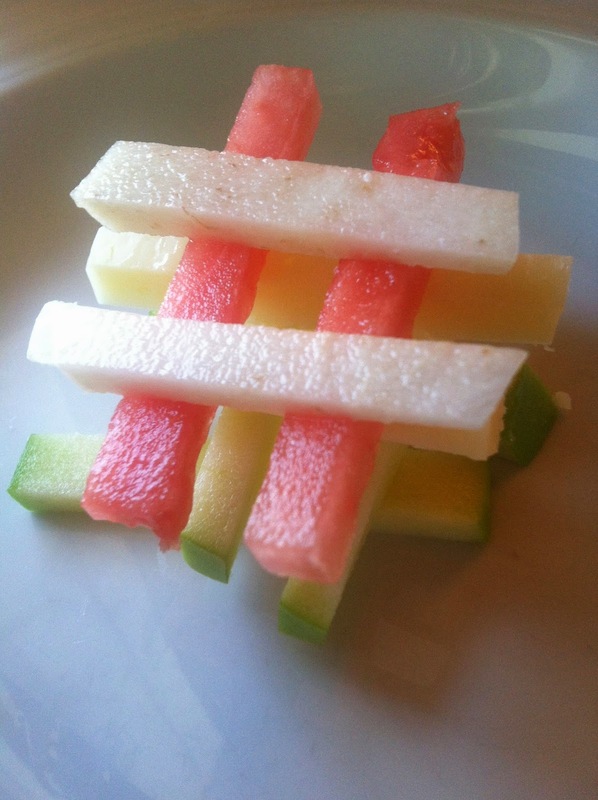 Our Jicama Fruit Salad recipe is perfect for building little edible log cabins or for a very short game of Jenga. Broccoli crowns can be used as brushes with a Savory Greek Yogurt Dip as the paint. Food is more than just fuel, it's family, entertainment, love, energy and tradition. So create those traditions in your home and you'll begin to see those little tikes become little foodies right before your eyes. Tiny carts are a must! Start an herb garden. Have a family cooking night. Pass down recipes from both sides of the family. Use your imagination and your whole family will flourish in the most exciting ways imaginable. 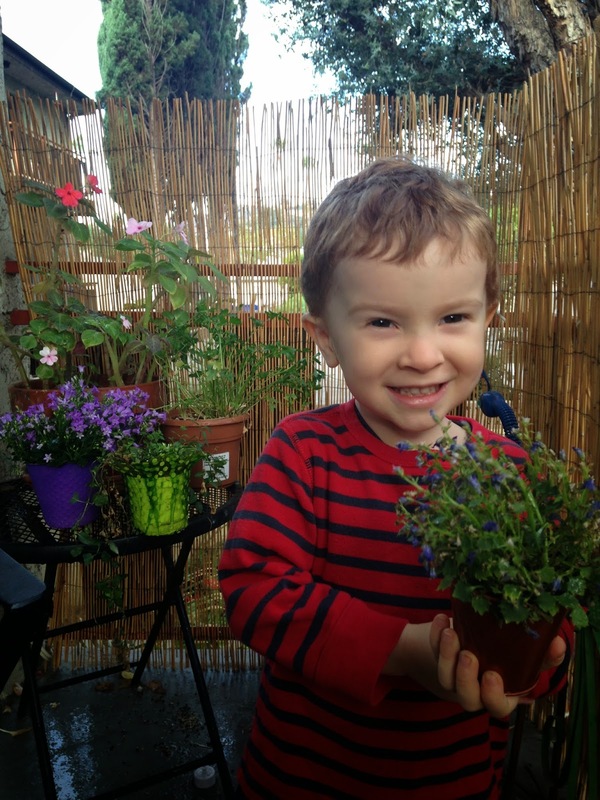 Herb gardens are an easy and inexpensive way to cultivate palates and build confidence. It can be so tempting to depend on canned soups for quick meals but making soup from scratch is a lot easier and faster than it seems. 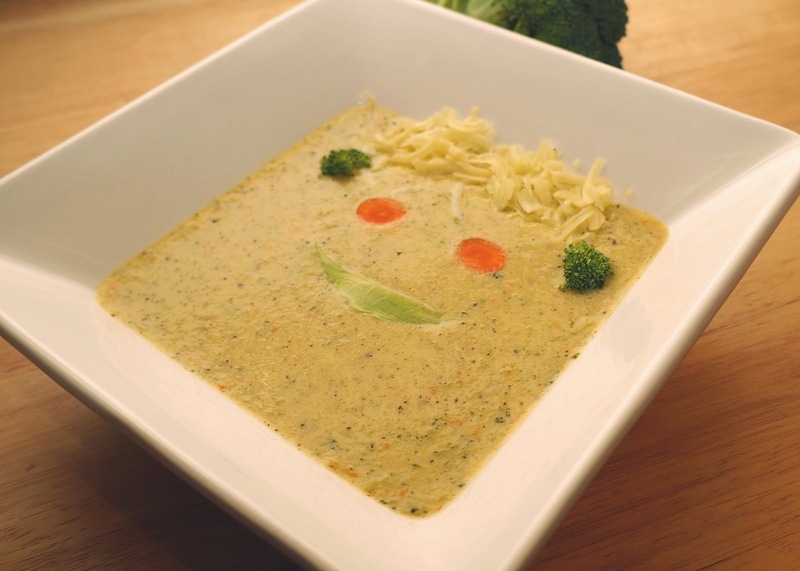 Our recipe for broccoli cheddar soup below is ready in half an hour. To save even more time, all of the vegetables can be grated in a processor instead of diced by hand. Single servings can be kept in the freezer and reheated later for super fast meals. Sweat the onion, celery, carrot, and broccoli in the oil for about 5 minutes (add some of the salt here, too). Add the flour and let it cook for just a minute, then add the garlic and oregano. Add the broth and stir really well. Cover and let it simmer for about 20 minutes or until all the vegetables are tender. Turn off the heat, puree the soup then add in the milk and cheese. Stir until it is all melted (turn back on low heat in order to melt the cheese if you need to) then add the Worcestershire sauce and salt and pepper to taste. Can we share our latest obsession? Stove top potpourri is something that will make your house smell like one of those fantastic holiday commercials where everything is warm, cozy and stress free (read: two kids enjoying each other's company, aka not fighting, while a gorgeously put together mom drinks a hot cider on a couch in front of the fire). Last year we were urged, urged by the wonderful guys at Crafty Lumberjacks to make this stuff and we never did. Shame on us! What you need, and it's probably already in your home! This is a great 'kids in the kitchen' activity and perfect fall craft. The uncooked ingredients in a glass jar make beautiful inexpensive gifts for teachers and neighbors this holiday season. So get those adorable kitchen helpers ready! Give it as a gift in a beautiful Mason jar! If you have never made stove top potpourri before, it's simple. Just grab aromatic ingredients in your home, set them on the stove in a pot with water and let them simmer. Your house will smell like fall and bring you a bit of extra relaxation which always brings on a bit of patience. Who out there can't use more of that? 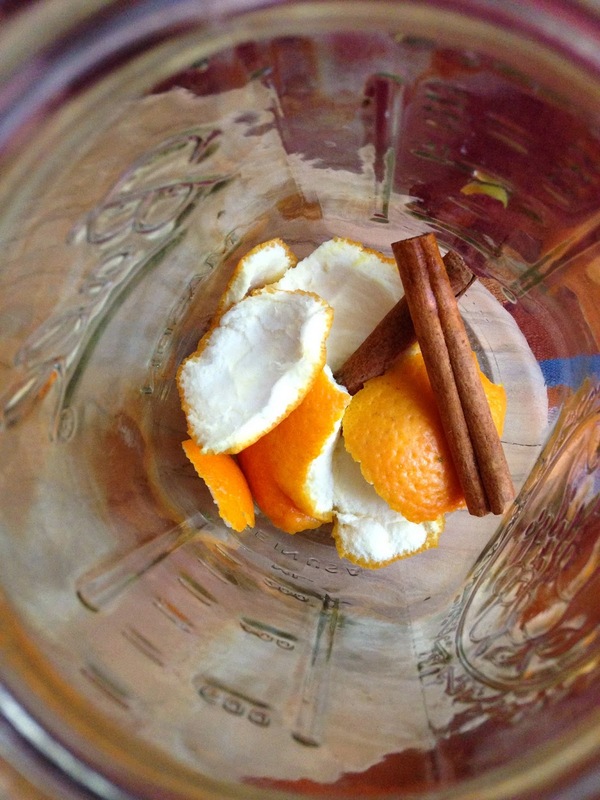 You can use anything but for our recipe all you need are apples, orange rinds, cinnamon sticks and water. 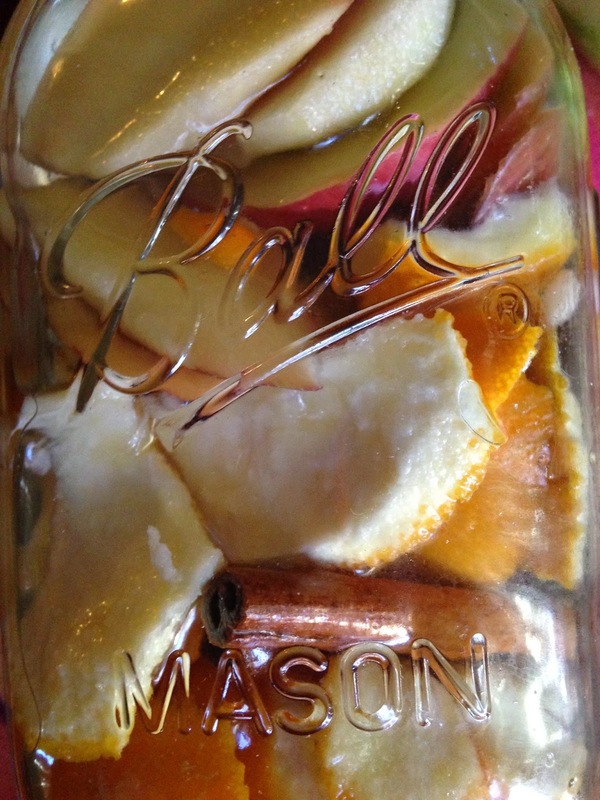 Peel the orange, chop the apple, and place them in a mason jar if you are going to give it as a gift or for it to be cooked later. If you want to cook it now then pour the ingredients straight into a pot. After adding all ingredients, add water. If you are interested in enjoying your potpourri immediately, then simmer the ingredients on the lowest setting of your stove top (or in the slow cooker) all day and enjoy the glorious smells! When the water begins to evaporate you can simply add more. 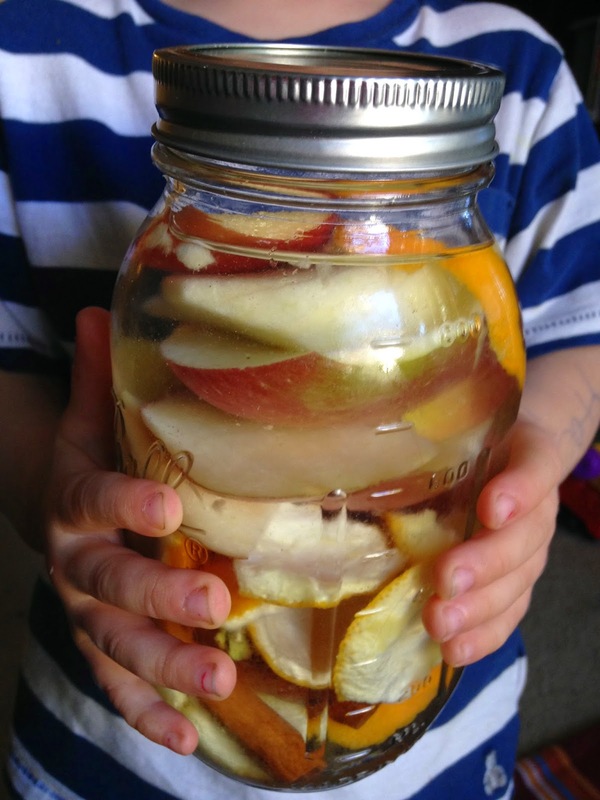 This is a great sensory activity for younger kids. 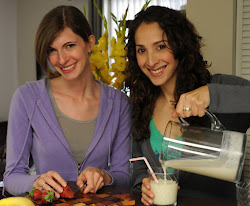 Encourage them to smell, touch and describe the ingredients they are adding. To find more stove top potpourri recipes, visit the Crafty Lumberjacks, they have several sweet smelling ideas that will make your holiday season warm and cozy. This link has a recipe that includes cranberries and sage (squeal).